Ships tomorrow if you order in the next 23 hours 4 minutes. Lightly dust pet bedding. DE will absorb oils, dirt and smells. Keeps kennel areas dry and odor free. Lumino DE is neutral tasting and has been added to both agricultural and human grains to keep them dry and prevent disintegration. Backyard chickens love DE. It keeps their coops cleaner, drier and odor free. For a facial mask, mix DE with water or oil to make a paste. Apply in a circular motion. Leave on for five minutes, then wash off with warm water. Sprinkle a small amount of DE on toothpaste for a vigorous tooth polishing. 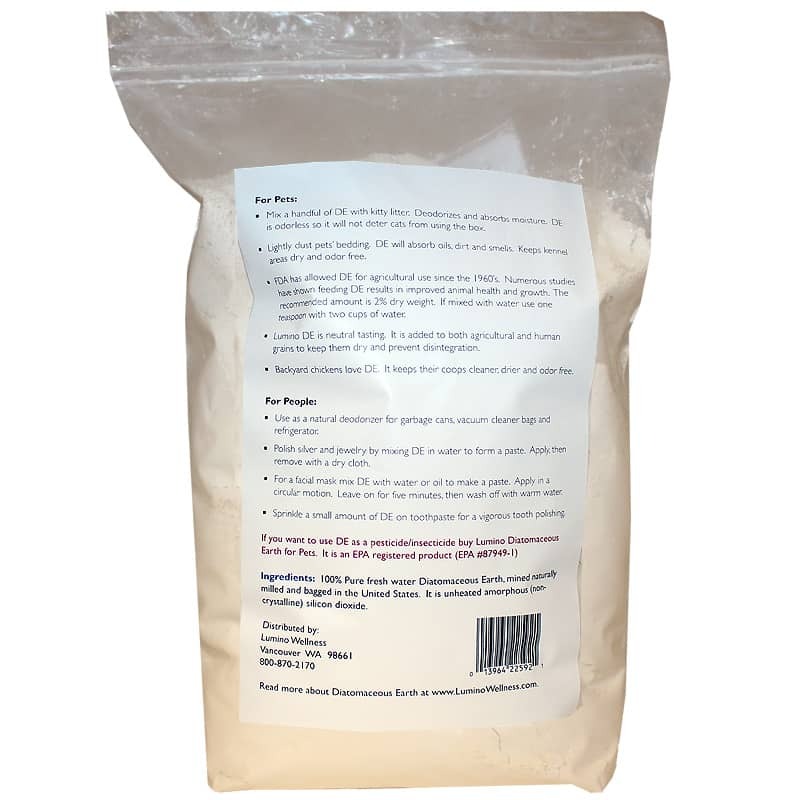 Diatomaceous Earth , mined naturally and milled and bagged in the US. It is unheated amorphous (non-crystalline) silicon dioxide. 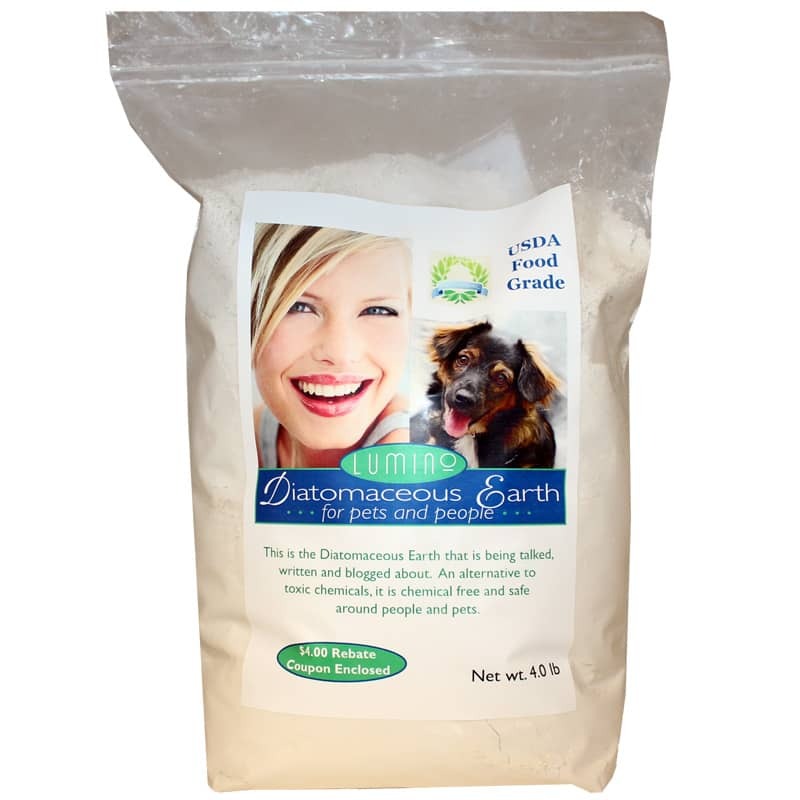 My friend told me about Diatomaceous Earth, and its healing qualities for people and also for animals. I searched the internet, and the brand, size, and cost of the product from Natural Healthy concepts was the best deal. It was delivered in a very timely manner, I am very please with my purchase.